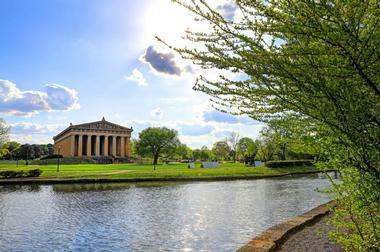 Soak up the sights at the historic Riverfront Park, visit the Country Music Hall of Fame and Museum which is packed with rotating, interactive, kid-friendly exhibits, explore and enjoy a picnic in the Bicentennial Capitol Park, and take in a show at the Nashville Children's Theatre. Formerly known as the Grand Ole Opry House and the Union Gospel Tabernacle, the Ryman Auditorium is a historic 2,362-seat live performance venue that has a haloed place in entertainment history. Located at 116 5th Avenue North in Nashville, Tennessee, the Ryman Auditorium has been a popular place for all types of gatherings from community events and political rallies to turn-of-the-century entertainment including ballets, operas, musical and theatrical productions, and symphonies. Fondly known as the Grand Ole Opry from 1943 to 1974, the Ryman Auditorium is now a National Historic Landmark and is listed on the National Register of Historic Places. Lauding the genre, history, and traditions of country music through world-class exhibits, presentations and educational programs, The Country Music Hall of Fame® is one of Nashville’s major attractions, with an unrivaled collection of country music memorabilia. 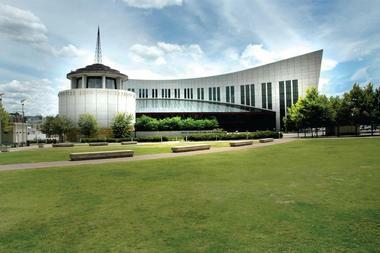 Located just a block away from the celebrated honky-tonks of Broadway, in the heart of Music City’s rapidly growing center, The Country Music Hall of Fame® is also known as the “Smithsonian of country music,” boasting state-of-the-art galleries, spacious event halls, dynamic retail space and modern classrooms. The museum’s main exhibition, “Sing Me Back Home: A Journey Through Country Music” send visitors on a journey through the history and sounds of country music, exploring its origins and traditions, and showcasing the voices, faces, and stories of many of its legends. Along with world-class galleries, the museum is also home to the CMA Theater, the Taylor Swift Education Center and the Grammy-winning re-issue label of CMF Records. 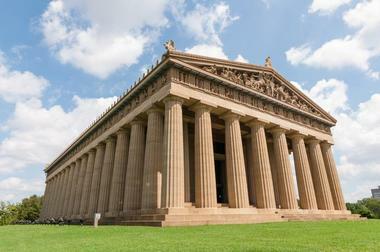 The Parthenon in Centennial Park is a full-scale replica of the original Parthenon in Athens and houses a 42-foot high statue of the goddess Athena Parthenos with a small statue of Nike (Victory) in her right hand on the main level. Designed by Confederate veteran William Crawford Smith, the structure was built in 1897 as part of the Tennessee Centennial Exposition and functions today as an art museum. The Parthenon's permanent collection can be found on the lower level of the structure and features a group of 63 paintings by 19th and 20th century American artists. During the summer, local theater productions present free classic Greek plays such as Sophocles' Antigone and Euripides' Medea on the steps of the Parthenon with the beautiful building as a backdrop. 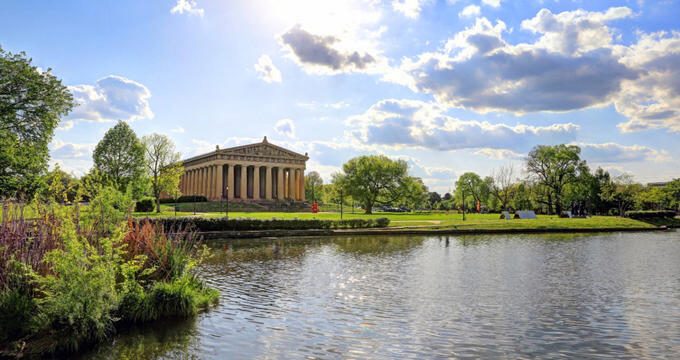 Visited by thousands of people every year who come to enjoy the beautiful outdoor landscapes, walking trails and a variety of recreational facilities, Centennial Park is Nashville's favorite green space. Located on West End and 25th Avenue North, the park spans 132 acres and features a fantastic array of things to see and do. Walk or hike the attractive one-mile walking trail or head to the unique exercise trail if you want to jog or run. Explore the iconic Parthenon and other historical monuments dotted about the park; take in some local art at the Centennial Art Center or spend a day with the kids at the art activity center. Have a romantic picnic in the stunning sunken garden or work up a sweat with a game of volleyball with friends. Hit the water on Lake Watauga for some boating, kayaking or paddling on warm summer days. 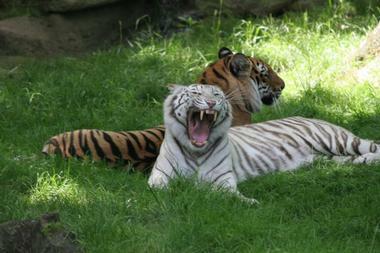 The Nashville Zoo at Grassmere is a dynamic 200-acre zoological park and animal sanctuary that is home to over 6,000 animals across 339 species. One of Nashville’s most popular tourist attractions, the zoo features a variety of fascinating exhibits and habitats in which the animals live, which range from mammals and birds to reptiles, amphibians, and marine creatures. Established to inspire a better understanding of the natural world through conservation and innovation, the zoo offers a wealth of fun experiences, such as feeding lorikeets, petting kangaroos, and brushing goats, as well as exploring the zoo on the Wilderness Express Train and having fun on the Wild Animal Carousel and Jungle Gym. The Nashville Zoo at Grassmere is also home to a historic 19th-century plantation house known as the Grassmere Historic Home which was built in 1810 and can be explored on guided tours. Andrew Jackson’s Hermitage is a beautifully preserved plantation house and museum in Davidson County, just 10 miles (16 km) east of Nashville. Once owned by Andrew Jackson, the seventh President of the United States, who lived there permanently after he retired from public life, the colonial-style mansion is a National Historic Landmark. Step back into history and take a stroll through Andrew Jackson’s life with a visit to this magnificent abode. The museum features an excellent array of exhibits and displays documenting the heritage of the home and the President’s life, and a variety of tours around the property are offered, including Lantern Evening Tours, Tulip Grove Tour and the Hermitage by Wagon Tour. The museum also plays hosts to several informative and entertaining events throughout the year. Housed in a beautiful Art Deco building that was initially built as a U.S. Post Office building, the Frist Art Museum showcases an excellent collection of well-curated contemporary art. Formerly known as the Frist Center for the Visual Arts, the non-collecting Frist Art Museum offers wide-ranging and ever-rotating art exhibits that display a wealth of works from large-scale portraits to Viennese postcards from local, state and regional artists. The Museum also hosts major national and international exhibitions throughout the year and is housed a spectacular example of early-20th century American architecture and is listed on the National Register of Historic Places. 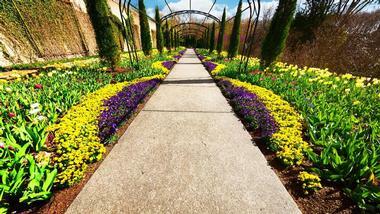 Cheekwood Estate and Gardens is a beautifully appointed 55-acre estate on the western edge of Nashville that houses the Cheekwood Botanical Garden and Museum of Art. Once the elegant home Nashville's Cheek family, the 30,000-square-foot Georgian-style mansion was opened as a museum in 1960, while the spectacular gardens are a haven for contemporary and classical art. Founded in 1959, the art collection boasts around 600 paintings and 5,000 prints, drawings and photographs and encompasses genres such as American art, American and British decorative arts, and contemporary art, along with many outdoor sculptures which are dotted about the gardens. The mansion itself is part of the collection and features perfectly conserved historical architectural motifs and stunning illusionist murals. The botanical gardens are home to an extensive collection of local flora, while the Carrell Woodland Sculpture Trail boasts a collection of fifteen sculptures by international artists. 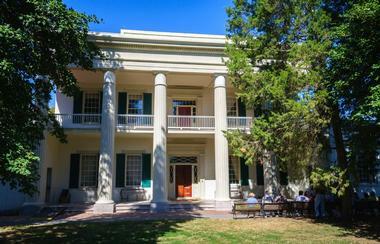 Founded in 1807 by John Harding, Belle Meade Plantation is a 5,400-acre estate with a thoroughbred horse farm with an original homestead, a deer park, and a Greek Revival Mansion, which functions as a museum dedicated to the preservation of Tennessee’s rich Victorian architecture and history. Once a stud farm when it was in its prime, the Belle Meade Plantation offers guided tours of the beautiful plantation house, while the gardens and grounds, the slave quarters, horse stables, and carriage house can be explored on your own. A modern visitor’s center and a winery have been constructed on the property and visitors can also enjoy wine-tastings at the end of their tour. The Bicentennial Capitol Mall State Park, also known as the Bicentennial Mall, is a family-friendly historical urban state park in downtown Nashville situated northwest of the Tennessee State Capitol building. 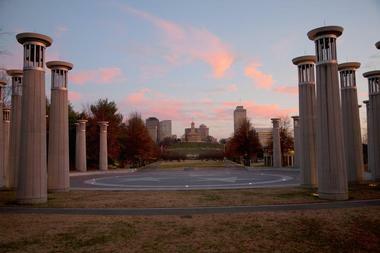 The 19-acre park features several attractions that relate to Tennessee history, including a 200-foot granite map of Tennessee highlighting its counties, rivers, and major roads and the circular Court of 3 Stars made of red, white, and blue granite representing the three Grand Divisions of Tennessee. The plaza is surrounded by 50 columns and a 95-bell carillon, representing the 95 counties of the state, and a pristine tree-lined linear lawn leads to a magnificent 2,000-seat amphitheater with terraced gardens and spectacular city views that can be used for special events. The Pathway of History features a 1,400-foot wall inscribed with the state's history, and several war memorials include the World War II Memorial, the Civilian Conservation Corps Memorial, the Centennial Memorial, and the Statehood Memorial. Radnor Lake State Natural Area, also known as, Radnor Lake State Park, is a beautiful 1,332-acre state park and natural area in Oak Hill that is home to a wealth of diverse fauna and flora and offers an array of outdoor recreation. 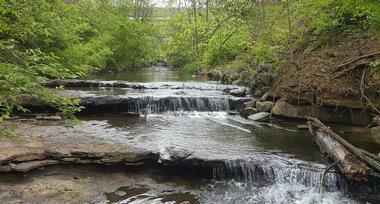 Radnor Lake State Park has several miles of unpaved hiking trails that meander through the woods surrounding the lake, whose shores attract a wealth of birds species, including wading and shorebirds, and migratory species. Other wildlife that calls the area home range from river otters, beavers, muskrat and mink to bobcat, coyote, and white-tailed deer. A modern visitor’s center is open daily and offers information on the area, the various hiking trails and displays exhibits of the fauna and flora that can be seen in the park. 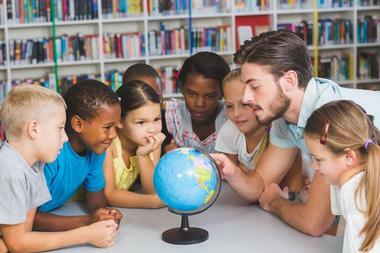 Adventure Science Center is dedicated to all things science and designed to inspire children of all ages to take an interest in science and ignite their curiosity. The non-profit science museum features over 175 interactive and hands-on exhibits with different themes ranging from Air & Space, Earth Science, and Creativity & Innovation, to Health and Energy, and Sound & Light. The 44,000 square-foot museum also includes a 75-foot-tall ultra-interactive Adventure Tower and the state-of-the-art Sudekum Planetarium, which offers world-class programs on astronomy beneath a 63-foot dome. 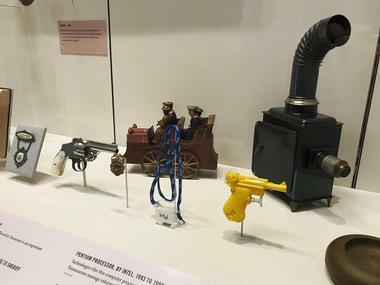 Other attractions include a 15,000-square-foot Space Chase which explores the universe and its many wonders, BodyQuest a Mini-Med Center and real-world ambulance, a Farting Slide, a Tinker Lab where kids can build things with different materials, and a climbing structure right in the center of the museum. The J. Percy Priest Lake is a 42-mile reservoir formed by the J. Percy Priest Dam on the Stones River. Located ten miles east of downtown Nashville, the dam and lake are named after Congressman Percy Priest and spans three counties, including Davidson, Rutherford, and Wilson. The lake is surrounded by over 18,000 acres of land, a large portion of which is devoted to the management of local fauna and flora. The remaining land offers a variety of outdoor recreation for the public, including hiking and mountain biking trails, several day-use/picnic areas, boat-launching ramps, and water-based activities like boating, fishing, kayaking, and canoeing. The Tennessee Central Railway Museum (TCRM) is a small museum dedicated to the heritage of rail transport in Tennessee and the central South. Named in honor of the former Tennessee Central Railway, which ran from 1902 until 1969, the non-profit facility features a collection of historical and beautifully restored rolling stock and railroad equipment, including nine diesel-electric locomotives and 30 engines and cars, as well as railroad artifacts and memorabilia, and photographs. 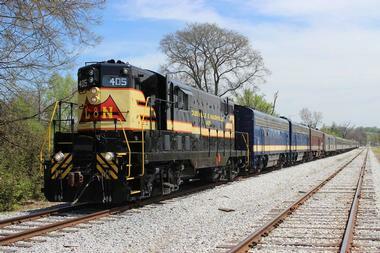 Located inside a freight depot, the museum also offers a unique opportunity to ride a 1950's vintage train through beautiful Middle Tennessee with passenger excursions running from Nashville to destinations such as Cookeville, including Lebanon, Monterey, and Watertown. The Shelby Bottoms Nature Center is an environmental education and recreation facility which aims to inspire people about the history, culture and natural landscapes of the area, and the fauna and flora that call it home. The center is comprised of the 950-acre Shelby Bottoms Greenway and the 336-acre Shelby Park and offers a wide range of nature and environmental education programs, outdoor recreation programs, educator training workshops, Girl and Boy Scout programs, and school field trips. Both areas have a network of hiking and mountain biking trails and beautifully maintained gardens and visitors can rent bikes to explore the Shelby Bottoms and other connected Greenways. 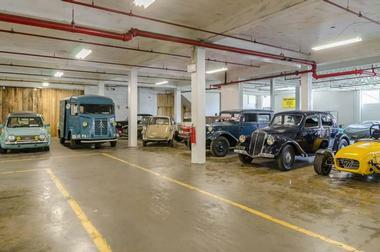 The Lane Motor Museum is one of the few museums in the country devoted to vintage automobiles and features an impressive collection of European motorcars. Founded by Jeff and Susan Lane in 2002 with a collection of 70 vehicles, the museum’s collection currently includes over 500 vehicles, including European cars of unusual design, amphibious vehicles, military vehicles, microcars, propeller-driven vehicles, competition cars, alternative fuel vehicles, and prototypes. Some of the vehicles are in showroom condition, while others represent typical aging and there might be up to 150 cars on display on any given day. The collection also features a variety of automobile-related art and memorabilia and hosts an annual fundraiser where donors can drive a museum car on a nearby rural route. The Nashville Children’s Theatre (NCT)is a longstanding community and cultural facility that was established to inspire young children about the performing arts. Founded in 1931, the theater is the oldest professional children’s theatre in America and enjoys a national and international reputation for excellence. The NCT presents a calendar of performances throughout the year, along with educational programs, workshops and acting classes for children of all ages. In addition to regular classes, the NCT also present a series of classes for children on the Autism Spectrum and specialty classes that culminate in Summer Youth Productions. The black box theater has modern facilities, including a ‘Comfort Room’ for nervous children, ample bathrooms and comfortable seating. Located next to the Bicentennial Capitol Mall State Park at the foot of Capitol Hill, the Tennessee State Museum is devoted to depicting the history of the U.S. state of Tennessee. 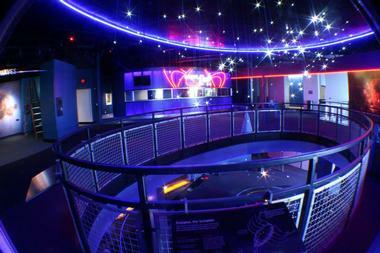 Founded in 2018, the 137,000-square-foot building includes a two-story Grand Hall, six rotating galleries, a hands-on children's gallery, a digital learning center, and a state-of-the-art tunnel known as the Tennessee Time Tunnel that chronicles the state's history by leading visitors through the museum's permanent collection. Exhibitions include Civil War holdings and memorabilia such as weapons, battle flags and uniforms; historical works of art, furniture, and textiles, and a wealth of photographs. 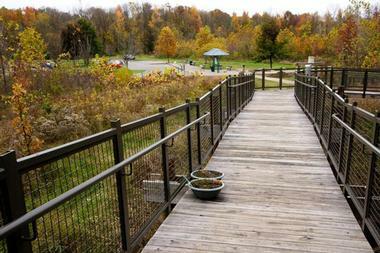 Nashville Shores is a family-friendly park in Hermitage that features a range of activities and facilities, including an adventure course, a water park, and a campground with lakeside camping and cabins. 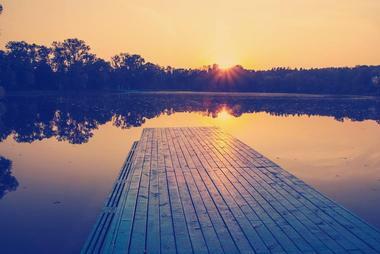 Set along the shore of Percy Priest Lake, the park has something for everyone. 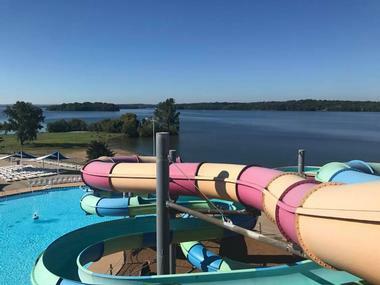 Nashville Shores Waterpark is home to a variety of thrilling rides and slides, a lazy river and a wave pool, several swimming pools of varying sizes, a beautiful beach and access to cruises on the lake. The Treetop Adventure Park is set in the trees along the shoreline and features an aerial adventure course with zip lines, ladders, suspended bridges, cargo nets, Tarzan jumps, and more. Camping is available at the Nashville Shores Lakeside Resort in the form of RV and tent sites, and deluxe cabins with first-class amenities. The Dyer Observatory, also known as the Arthur J. Dyer Observatory, is an astronomical observatory that serves primarily as a teaching tool for Vanderbilt University. Built in 1953 and located in Brentwood, the observatory is named after Arthur J. Dyer, who financed the observatory's 24-foot-wide dome which houses a 24-inch reflecting telescope named after famous astronomer Carl Seyfert. 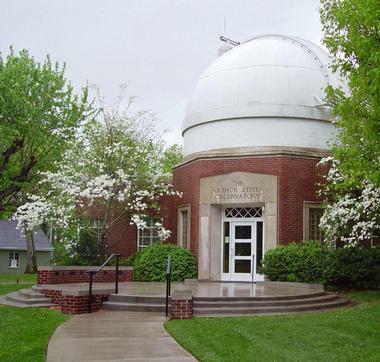 Listed on the National Register of Historic Places, the Dyer Observatory is used by the Vanderbilt University to inspire children to take in interest in the fields of engineering and science with open nights and telescope nights, special shows and performances, and educational programming. The Nashville Public Library is the central public library system that serves to serve Nashville and the metropolitan area of Davidson County. Named the Gale/Library Journal 2017 Library of the Year, the Nashville Public Library offers a variety of public programming and services, including book and audiobook downloads, digital collections, computer classes, and language learning services. The Main Library offers puppet shows, and there are a variety of book clubs hosted throughout the library system. The library has an educational program called ‘Limitless Libraries’ that provides students access to public library materials and over 1.5 million information resources. Sinema Restaurant + Bar is a hip contemporary American restaurant housed within Nashville's historic 1942 Melrose Theater. The restaurant, which was originally opened by 2015 Iron Fork recipient Dale Levitski, has been acclaimed by national publications for its clever locally-sourced fare and exceptional rare whiskey program. 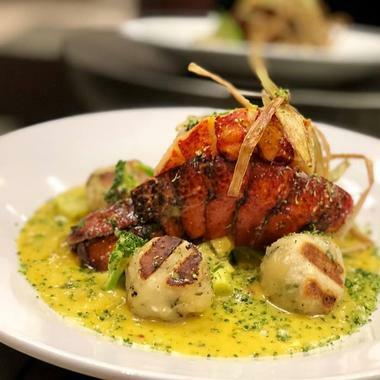 Today, it is helmed by Colin, Brenda, Ed, and Sam Reed and Q-Juan Taylor, serving up seasonally-rotating comfort fare entrees, with a focus on land and sea offerings such as gourmet short rib, scallop, and swordfish preparations. An artisanal cheese and charcuterie program is helmed by executive chef Kyle Patterson, while an acclaimed cocktail program pays tribute to old and new favorites throughout the 150-year history of craft libations in America. Located south of Nashville, Lucky Ladd Farms is a 60-acre family-owned and operated farmstead owned by the Ladd family that offers a variety of family entertainment and fun, educational, agricultural experiences for visitors of all ages. The farm has a variety of fun things to see and do, including hay rides, a petting zoo, pony rides, playgrounds, mega slides, and a barrel train, tree tire wings and a climbing wall, rubber duck races, a corn maze, and gem mining. 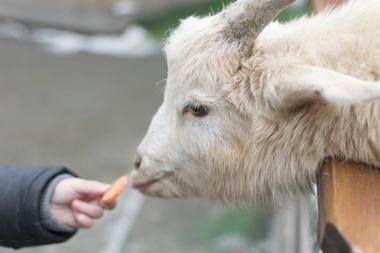 Kids can milk cows, pet over 100 animals in the petting zoo, ride a mechanical bull, race tricycles on the tricycle race track, or discover their way through a ropes maze, among other fun activities. The farm also features an array of educational exhibits and offers summer camps for groups. The Pied Piper Creamery is a traditional ice cream parlor set in a quaint antique cottage that serves gourmet ice cream in a variety of fun flavors with satirical names, such as Snoop Dizzle Sorbizzle and Pearis Hilton Ice Cream. Located in the heart of East Nashville's Five Points District, the Pied Piper Creamery has a lovely outdoor front porch where the zany flavors can be enjoyed. The creamery has 24 flavors that rotate based on popularity, and include A La Mode Is Overrated (apple pie flavor), Ain’t Jamoma’s (blueberry pancake custard with a maple syrup swirl), Ambrosia (vanilla with mandarin oranges and coconut), and Are You There God? It's Me, Margarita (key lime sherbet). The Cupcake Collection is a cheerful bakeshop that specializes in specialty cupcakes in a variety of creative flavors, including café mocha, peanut butter mousse, campfire s’mores. 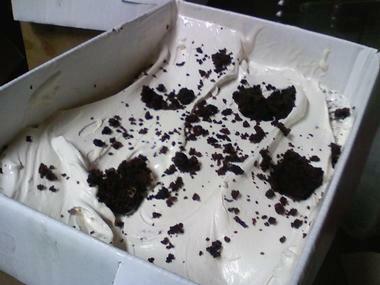 Cupcakes are available in three sizes and come in an array of flavors, and the bakery also sells celebration and wedding cakes, which can be picked up, delivered or shipped. The Cupcake Collection is open every day of the week, except Saturday at various hours. The Travellers Rest Plantation and Museum is a historic plantation house that was built by Judge John Overton in the late 1700s. Originally named Golgotha after the large number of prehistoric skulls that were found during the excavation for the house, the two-story structure was later named Travellers Rest to reflect how Overton on coming home after long horse rides. Several additions were made to the house during the 1800s and were saved from demolition in 1954 and restored to its former glory to become a museum. Today, the Travellers Rest Museum documents the life and work of John Overton and the rich history of the plantation during the Civil War. 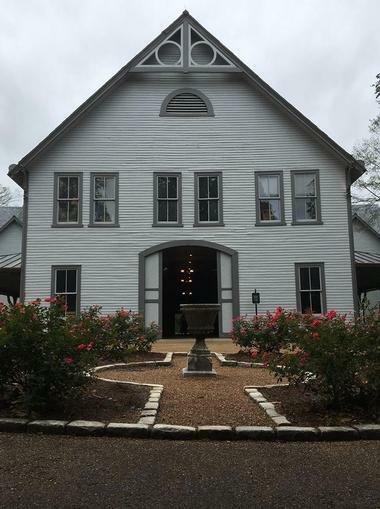 The house is surrounded by 1,050 acres of plantation grounds that can be explored on a visit to the museum, which is listed on the National Register of Historic Places.